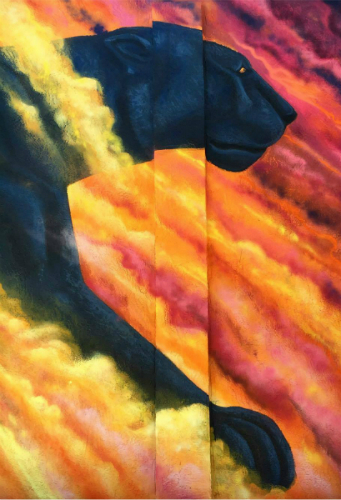 About a year ago, Melbourne Main Street, a nonprofit that works to revitalize Historic Downtown Melbourne, unveiled a project to have 12 murals painted in the downtown district. The goal was to engage the creative sector in driving economic growth and fostering a sense of community well-being. I started my career at Florida Tech, and continue to teach courses as part of the regionally accredited university’s 100% online degree programs. I saw this as an opportunity to further connect two entities that are so near and dear to my heart. 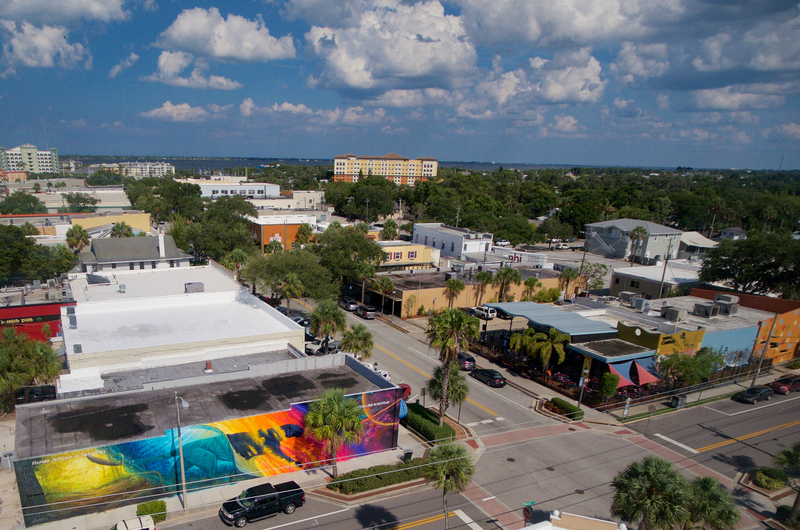 After reaching out to former colleagues and connecting with local artist Christopher Maslow, we began discussions with Florida Tech’s marketing department on how to convey, in the form of a mural, what Florida Tech means to this community. I sit in a lot of meetings, and I can say for certain that few have been as energizing and interesting as these were. Maslow, born and raised in Melbourne and well established in the art scene, was key to getting this project off the ground. It was through his direction and expertise that we were able to bring this project to life. Anthony J. Catanese, then-President of Florida Tech, supported the project and the university donated the mural to the community. Just a few months since it was dedicated, the mural already has become a shining example of the importance of arts in the downtown district, and illustrates the vital role of art in establishing a sense of place. For me, it was such a proud moment to see colleagues and friends from Florida Tech standing with city officials and the public to celebrate this project and what it symbolizes for Downtown Melbourne: vibrancy, dedication and a community that deeply cares about its growth.